The hotel is located directly across the street from two Mackinac Island Ferry Docks, Star Line and Arnold Line, and has over 1600 feet of beach access. The hotel accommodations include deluxe guestrooms, some with lake view, and we also have private chalets with one and two bedrooms. 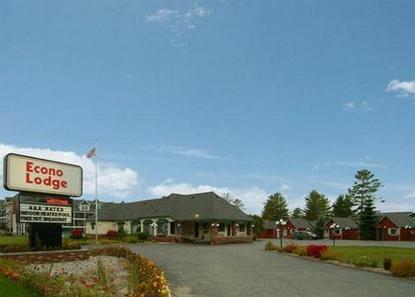 The hotel features an indoor heated pool, whirlpool, playground area, and picnic ground. The Mackinac Trading Company and the Crossings are located one block away with their many shops, restaurants, theatres, free nightly live laser show, miniature golf course, and many other attractions Pet accommodation: 15.00/night per pet (limit: 2 pets per room).